Making the skin appears more white and healthy glow, without the peeling process. Improving the skin structure which damaged caused by the air pollution and harmful substances. Getting rid of wrinkle and tighten facial and neck skin. Getting rid of stubborn acne. Lifting away the dead skin cells and blackheads, so the skin becomes smooth. Nourishing the skin with natural herbal extracts. Getting rid of acne spots and blemishes. The hyaluronate zodium is able to maintain the moisture and improve the skin elasticity to be supple and firm again. This product benefit has been proven safe and real. Instruction for use: Take and apply to the entire skin of the face and neck. Used at night (can be brought to sleep). Do not worry if your face feels hot while using night cream, because it is the opening process of the skin pores for nutrients to penetrate into the skin. Do not worry if the reaction occur (do not stop the usage). The reaction will disappear within 6 s.d 14 days, and after that your facial skin will appear more radiant, toned & smooth. As a foundation in the form of a thick liquid that is able to cover black stains and acne / spots that appear smooth and durable in your face, while providing multivitamins on your face that is vitamin A, E, F, H. It is suitable for all skin types. This product is very easy to trim with matte riveting results and also waterproof, suitable for protection when swimming. 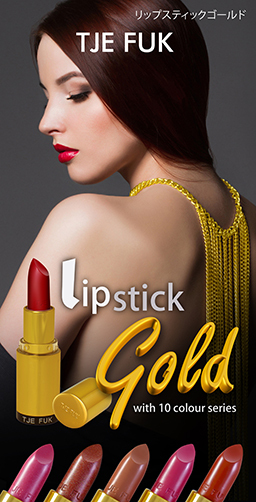 Widely worn by professional makeup. 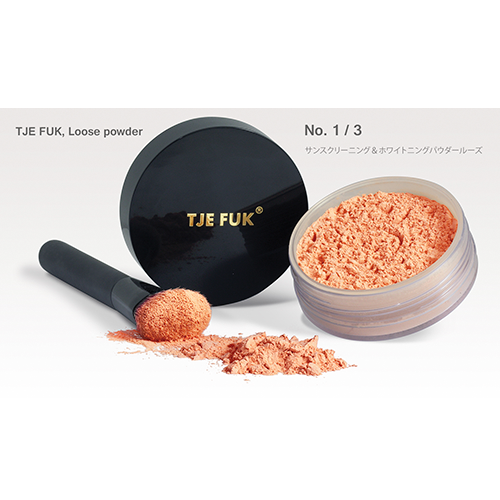 It can be used for makeup foundation and continued with makeup. It contains anti-aging and Vitamin E which can maintain the youthfulness of your skin. It is also can be used for day cream at once to protect the face from the adverse effects of UV sun exposure. 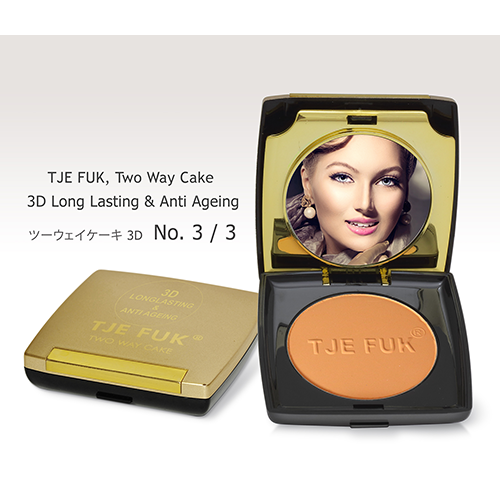 TJE FUK, whitening day cream is a day cream (especially for women) recommended for night cream companion. This cream provides skin protection against the adverse effects of UV rays of the sun. Supplemented with vitamins A, E, F and H which makes your skin more healthy glow. The powder content that is micrones can conceal the lines of aging, flex and blemishes acne scars. Use as foundation to make your makeup more durable and perfect. Instruction for use: Take and apply to the entire skin of the face and neck. This cream works to protect the skin for 10 hours from the sunburn. By the benefits of waterproof, then this cream can be used for protection from the sunburn while swimming. It is a compact powder that can disguise signs of fatigue and make the skin look smooth. 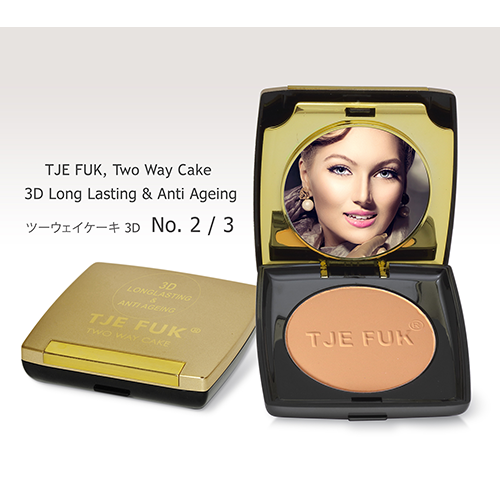 TJE FUK Two Way Cake will give you the best look on your face. The content of the formula is able to give the best look on your face. The content of the formula is able to give a perfect finish on your face, equipped with UV Protection to protect your face from the adverse effects of UV rays. Available in 3 options colors. The world's first soap uniquely designed and magnificent. Lightening Soap with Scrub (yellow soap). It is contains natural scrub from the seabed that is able to form silk to coat and moisturize your skin. Scrub size 10 x smaller than other scrubs that can give a sense of comfort when applied to the skin of your body while bathing. The rich foam will amaze you on this product. Use during daytime activities, under the sun ray exposure. Useful to counteract the adverse effects of UV A and UV B rays. supplemented with aloevera and vitamins A, E, F, H that nourish the skin to maintain its elasticity. Can be used as a makeup base. Specially formulated without powder and when used, it's not sticky. It is suitable for men and women because this cream is colorless. Used as a make-up base. Making your makeup more perfect and durable. The content of vitamins A, E, F and H makes the texture of the skin more smooth and bright. Sunflower seed extract makes the skin feel moist inside and matte outside. Improving skin layer structure which damaged caused by the adverse effects of UV radiation and air pollution. Helping to regenerate skin, to remove dead skin cells. Improving skin vitality and elasticity. Excellent for treating dry and dull facial skin. For normal and dry skin types. As a makeup base to give perfect results. Making Faces look smooth, disguise acne scars, black spots and fine wrinkles on the face. Moisturising and nourishing the skin and Long lasting, smooth skin tone, mask the pores and wrinkles on the face so it looks smoother and younger. Protecting skin from the adverse effects of UVA & UVB rays. Making skin supple and youthful. As a lightweight makeup base to give a smoother result. Making Faces look smooth, protect your face from the bad influence of UV rays. It is very easy to smooth and looks very smooth natural and durable in facial skin. Comes with vitamin E which is useful for nourishing facial skin. Suitable for all skin types. Everyone will certainly experience the aging process in the old days, on facial skin will appear aging lines/ wrinkles. When we fear that it will happen, there is one solution we offer. 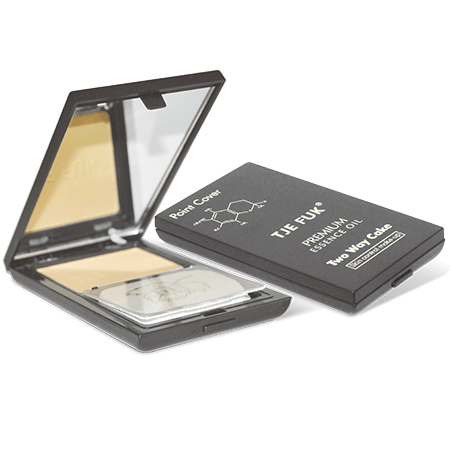 TJE FUK, Wrinkel Solution Q-10 is the answer to the skin wrinkles problem (aging line). The protein and enzyme Q-10 groups in the Nano Technology process can rapidly penetrate into the skin cells. It is useful to improve the skin wrinkles on face and hand with a calculation of 30 days, you will look younger 10 years, please try. It can be used day and night, for men and women. I can be used before using fondation. 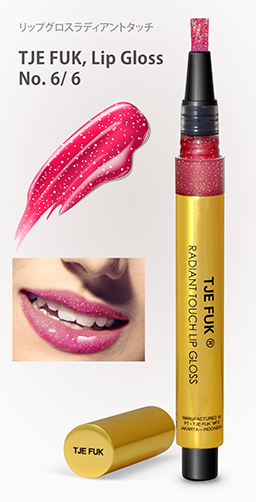 With the waterproof properties, the makeup on your face will be longer and not easily faded by sweat or rain though and equipped with granules glitter (shimer). Lightweight compact powder that can disguise the lines of wrinkles, spots on the face and able to emphasize the curve of your face and reflect lights that makes you look stunning, even when you laugh broadly, your makeup will not break. supplemented with various vitamins A, E, F and H that are beneficial for your face and neck skin. Now with Two Way Cake 3D you are getting free to do activity in any condition and weather. Everyone always want to have a healthy young face. 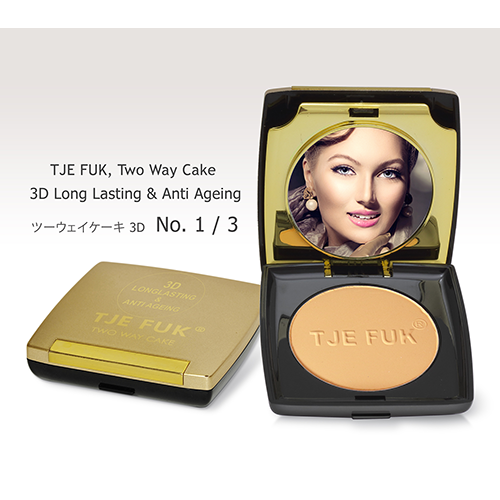 Therefore, we present TJE FUK Wrinkle Essence, to overcome the problem of wrinkles and aging lines. Nano Technology Formulations that can work optimally and very quickly penetrate into the skin cells to treat and improve your loose skin structure. In the calculation of 2 months usage, your face will appear 10 years younger. It can be used during day and night, before using foundation. This product is in liquid form so it is more efficient in its use. 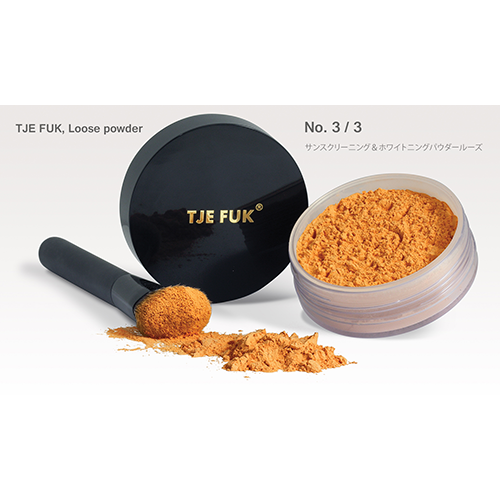 Soft powder and very good in use for makeup everyday. It is suitable for you who are undergoing Facial Treatment. Microness powder can disguise spots and acne scars. Equipped with Vitamins A, B, C and E.
Available in 3 option Colors. Removing makeup with just two soft touches. We present a unique and simple make-up remover in its use. You will be instantly impressed with the benefits. You just shake it, then pour it a little to the beauty cotton to remove eye liner, maskara, lipstick and makeup remnants which waterproof though, with just a soft touch. Bath Soap and Suitable for pimply face. The Green soap with rich and soft foam is to cleanse the body while bathing. It is able to clean your body optimally without making your skin dry. The Moisturizer will be left behind and attached to the skin of your body, so that your skin moisture will always be maintained.